← An Unpronounceable Volcano as Black Swan? I meant to talk about this a while ago. 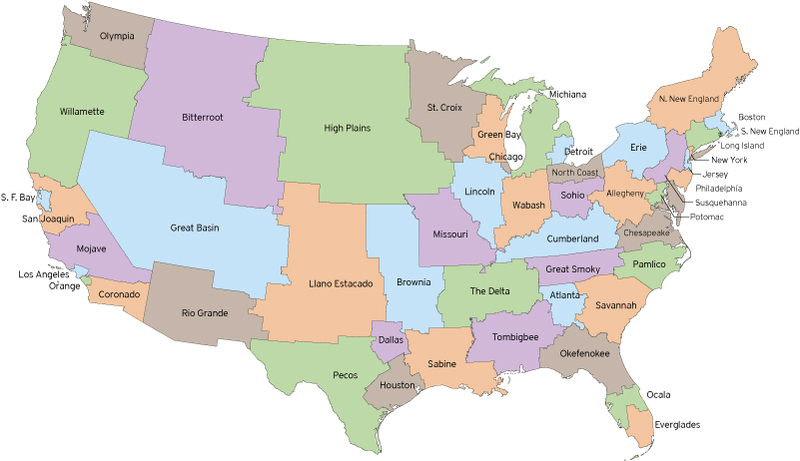 Fakeisthenewreal has had a map up for some time of what the 50 states might look like if they were all divided into sections of equal population. All have between 5.4 and 5.635 million residents (and Hawaii and Alaska are part of Coronado and Olympia, respectively). Missouri gets to stay the same.